The first step towards a beautiful shirt is beautiful fabric. And in order to have beautiful fabric, you need quality raw materials. The fabrics we use to make our shirts are made up of natural materials (with the exception of some “technical” fabrics which can contain elastane, particularly for slightly stretchy shirts) : Egyptian cotton, Supima cotton, Sea Island cotton, linen fabrics or even wool and cashmere for winter. The manufacturers we work with guarantee the exact origin and composition of their fabrics. Renowned for their expertise and quality, we have chosen manufacturers recommended by the textile industry. Our fabrics come from the best Italian, Turkish, Portuguese and Japanese suppliers. Since the beginning, our company has strived to work with artisans who are well-known in their profession. This is why we choose our partners meticulously. With a wealth of experience of almost 100 years in textile manufacturing, our main partner is a workshop located in Cholet. Its world renowned expertise in shirts coupled with our practical and modern approach to elegance enables us to offer you a high-quality shirt made with durable and luxurious fabrics. For those who are passionate about traditional shirts, we also work with an Italian workshop located in Bergamo. These shirts make up the Sartorial line and are the most traditional tailor-made shirts in exclusively Italian fabrics. These shirts are made up of many micro details, which are appreciated by connoisseurs, and which require a high level of finishing touches by hand. The difference can sometimes be found in the smallest of details. The number of stitches per centimetre depends on the delicacy of the seam. By using a higher number of stitches, the seams are neater and more refined. 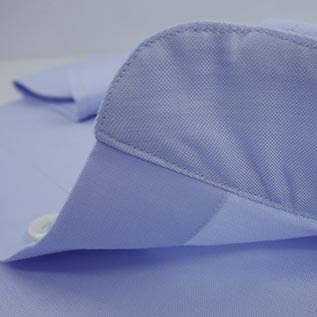 It is a small detail which immediately differentiates beautiful shirts from other shirts. From a technical point of view, it's a matter of using a good quality sewing machine with the correct setting but more importantly, sewing straight stitches is more time-consuming and therefore, more expensive. While the classic seam (double stitched), which sews together the pieces of the shirt and sleeves, is the most common, some people opt for the French seam. The latter is done using a single needle machine and although it is more difficult to master, it is also thinner and nicer on the skin. The seam must be sewn twice instead of once with a controlled gesture and therefore requires a more advanced level of expertise. The purpose of this piece of fabric, which attaches the front and back bottom flaps of the shirt together at the side seams, is to strengthen this potential problem area. The quality of our seams, but especially the fact that the shirt is tailor-made for you, means that there is little chance that the shirt will fall apart at this place. 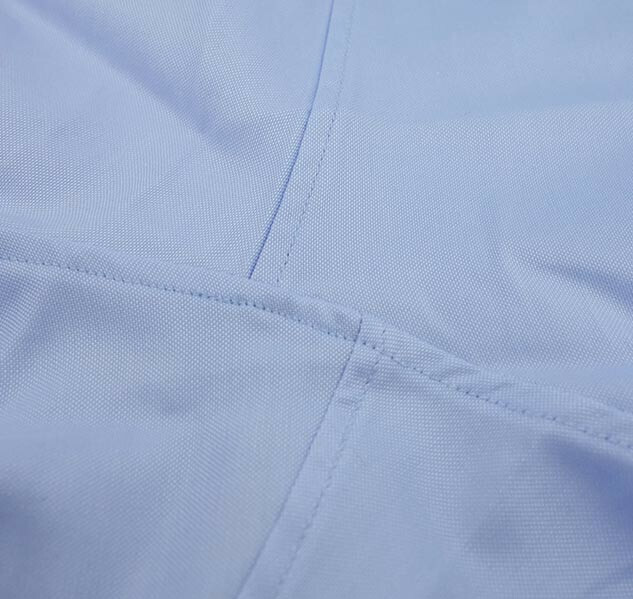 However, for the purists or as a purely aesthetic choice, our seamstresses can add this hem gusset. In our "Sartorial" range, the "handkerchief" hem is thinner and more refined than on a classic shirt. 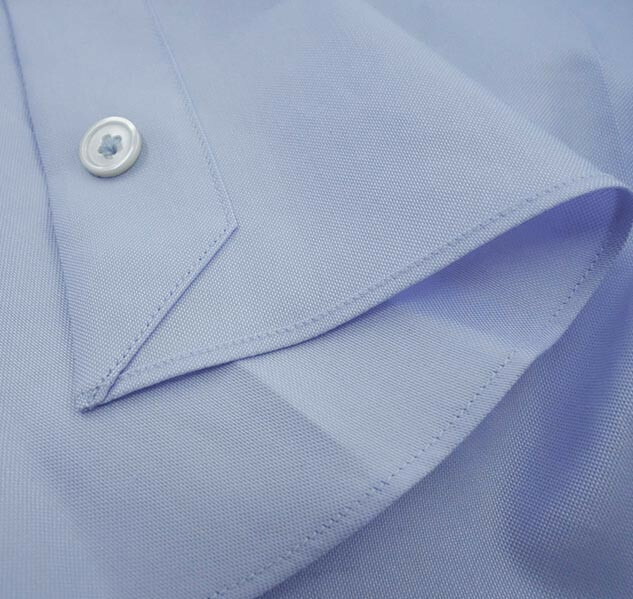 With an offset armscye seam, the yoke and sleeve seams do not meet at a single point, which means the shirt adapts better to the natural draping of the arms. This small detail requires a lot more work as this part of the shirt must be put together in two steps, instead of sewing one single seam. As a result, it is much more comfortable when moving the arms and the draping of the sleeve is more fitted to the arms. 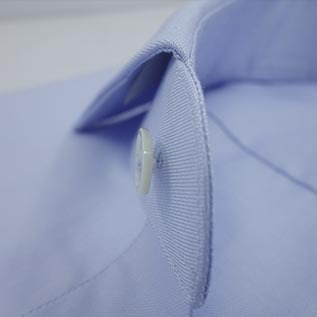 In addition to our many options of collar and cuff styles, you will also be able to change the form and stiffness of the collars and cuffs on our tailor-made shirts. These shirts include an interlining which can be more or less soft, fused on the inner or outer side and even "loose". There are at least 20 or so options available that we alter according to the fabric and the type of shirt (casual or formal) or even to limit the deterioration of certain fabrics. 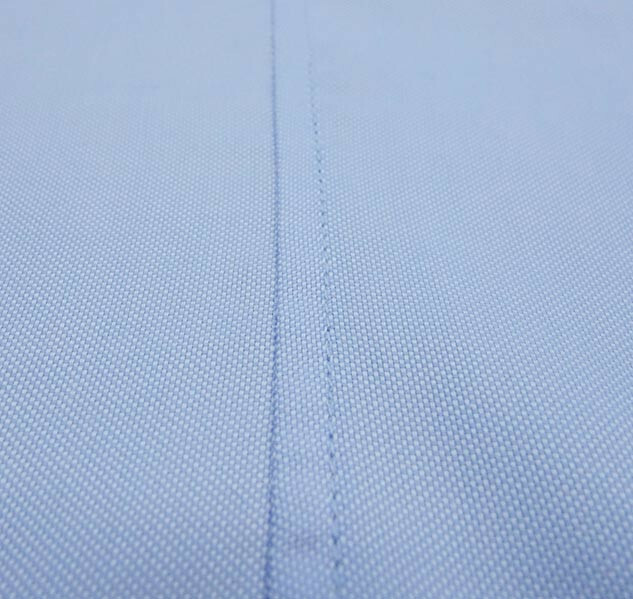 For a formal shirt, we generally use a normal, fusible interlining. Therefore, the collar and cuffs will remain completely straight and will look smooth and sleek. On the other hand, for a more casual shirt you can opt for a softer interlining (non-fuse interlining possible). 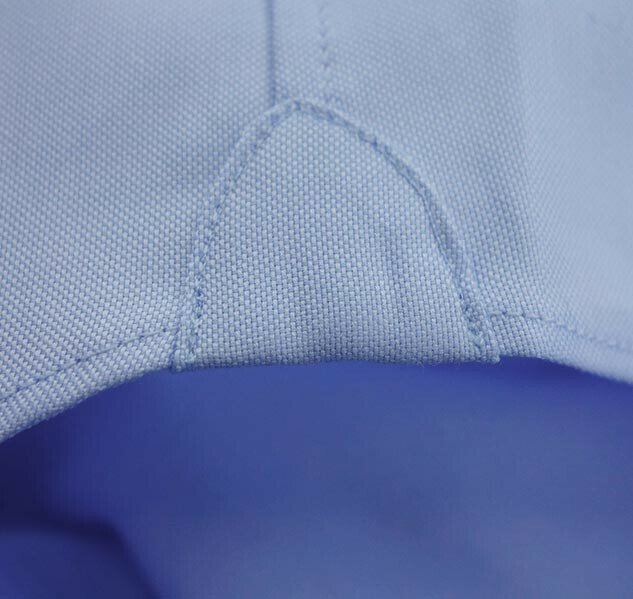 The collar edges will therefore have a rounder effect which will be less straight, less uniform and therefore, more comfortable as they will be less rigid. 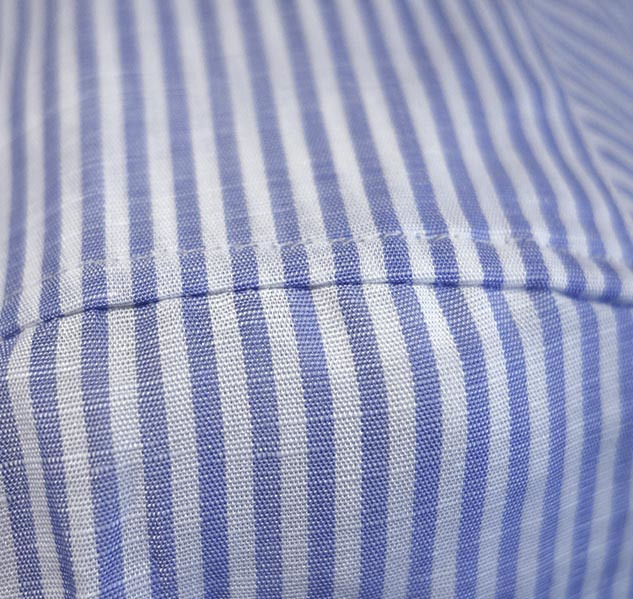 When the chosen fabric is striped or checked, it is important to position the lines perfectly so that they do not cross over each other between each piece. We have state-of-the-art tools in our workshops which means we can skip the cutting table and visualise it directly on a software programme and then decide where to cut the fabric in preparation for cutting later on. Our seamstresses are able to position each piece perfectly before sewing them. There is no benefit in terms of comfort. It is purely aesthetic. When creating a chevron back (the top part of the back is made up of two pieces of fabric instead of only one), the patterns are aligned to the centre seam at the top of the back. If the shirt is striped, the lines then follow the shape of the shoulders and make an arrow pointing upwards, which is where the "chevron back" name comes from. We are constantly improving our shirts. One of the latest issues we have been working on and that we are finally satisfied with is cuff styles. In order to have a sleeve which is both thinner and more comfortable while the arm is bent, we need to pleat excess fabric when it comes to the cuff. The depth, number and position of these pleats have all been carefully thought-out in order to solve the contradictory equation of a well-designed, yet comfortable sleeve. 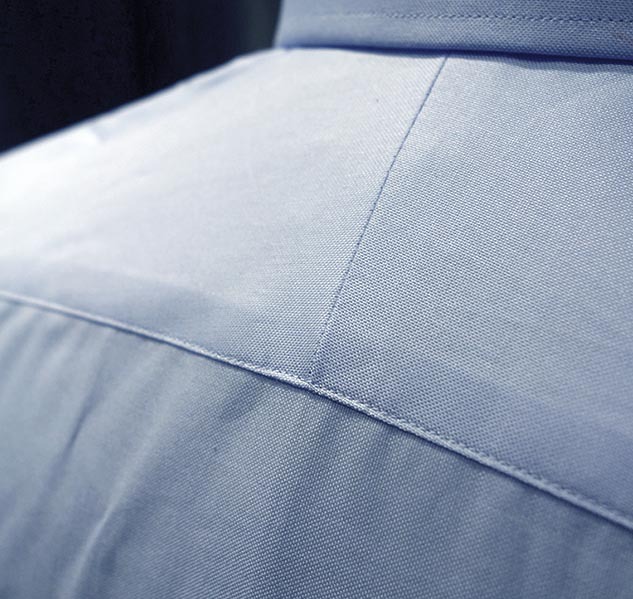 In order to better fit the shape of the arms and adapt to their movements, the sleeves in a Sartorial shirt have a few distinctive features for support...little details which make a lot of difference. The cut of the sleeve is slightly longer on the outside, leading to a slight slant on the cuff. This subtlety means it can adapt to the natural draping of the arms (slightly arched and not outstretched) in order to firstly reduce the number of creases once the arms are relaxed, and also to adapt perfectly to the bend in the arms, all while providing more comfort for the elbow. If you choose a button based on its colour, you can open the door to a vast array of different materials (resin, mother-of-pearl, horn) in various shades and forms (flat, snap or thick buttons). Ascolite is the name of the machine which creates a "button shank". In order to strengthen the stability of the button and to make it easier to button up, this machine pulls the button so that it can wrap the button thread in a slightly elastic filament which is "sealed" to itself. For aesthetes, perfectionists or shirt lovers, we have pushed our requirements even further with our Sartorial line. 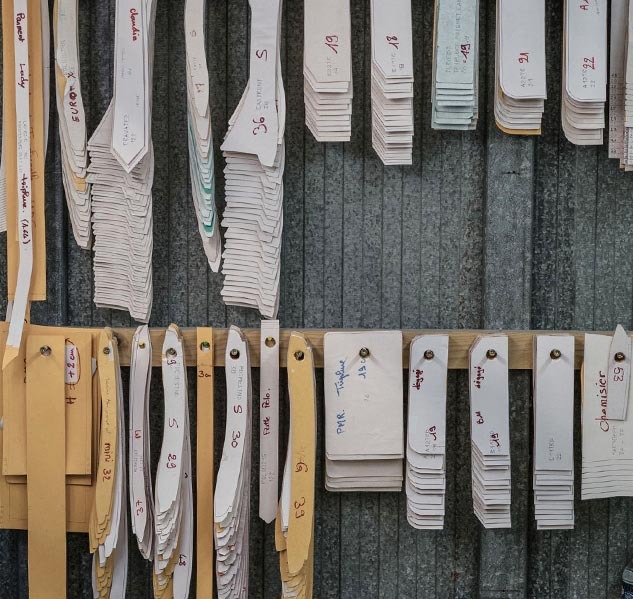 The Sartorial line uses a unique system in our French workshop: only the most experienced seamstresses can make these shirts. A Sartorial shirt is entirely made by the same seamstress from start to finish. She is dedicated to people who wish to have a shirt made in the most traditional of ways. Not only does this exceptional shirt have very subtle details, but a large amount of work is done by hand for the finishing touches, which has been mastered by few seamstresses.